I love this old pine. A brief patch of sunlight breaks through in a mostly cloudy, dreary day. 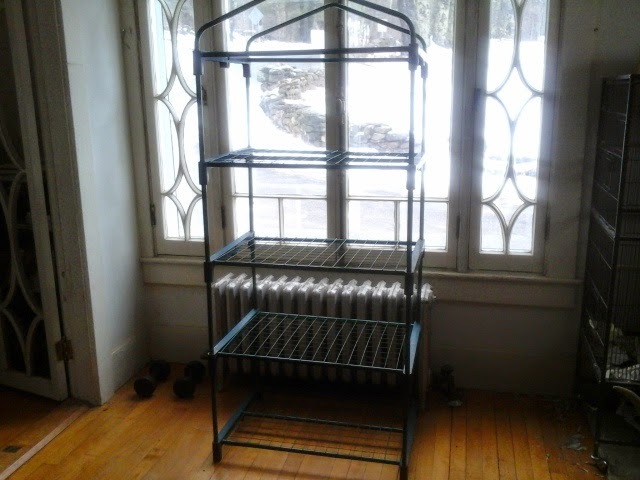 According to my planting chart, i have about 6 weeks until I plant the first seeds here indoors, or in the cold frame. Looks like I need a bigger box! The seeds are roughly alphabetized. 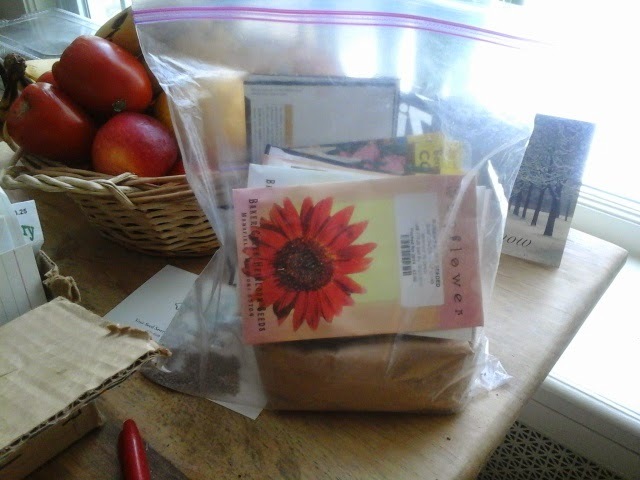 I have a separate bag for flower seeds. 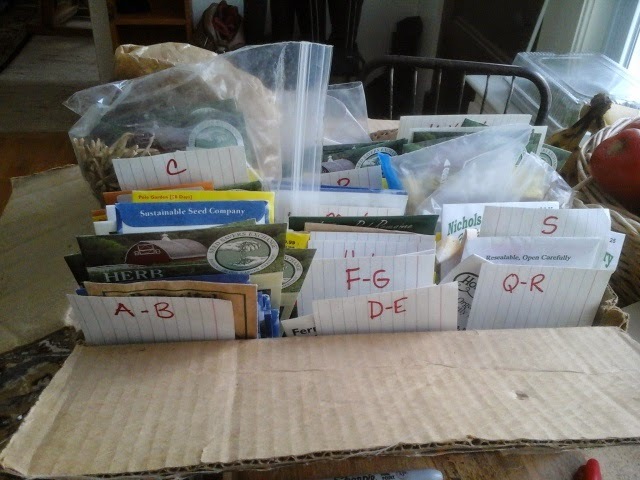 After organizing the box a little, I have a good idea of what seeds I have, but will definitely check my planting list to see if there is anything that needs to be ordered. Some things like lettuce, spinach, chard, amd carrots that get planted multiple times during the year, I will need to have plenty of seed on hand. The seedlings will eventually start taking over every sunny window. where are those grow lights? There they are! With the music, of all things! 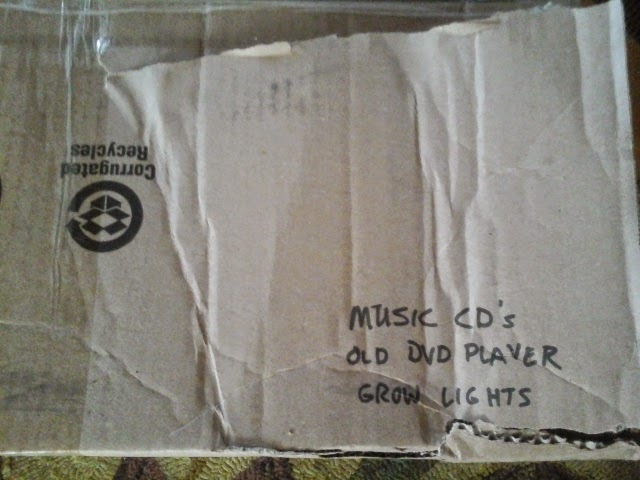 You never know when you move across the country, where things end up in the packing process! So, tonight after supper I will be double checking my planting list against the seed box contents. 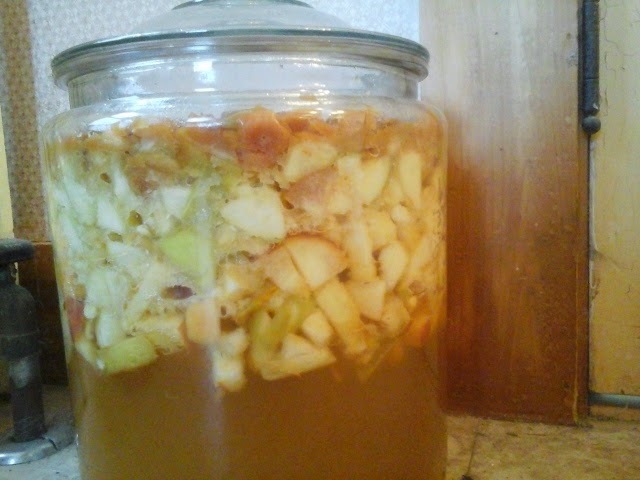 I already know I need more lettuce, and more chard. Weather: January thaw for sure... 33 this morning! All that rain turned our back yard into a skating rink. I have to wear crampons to get to the chicken coop. Or maybe I should just wear skates! 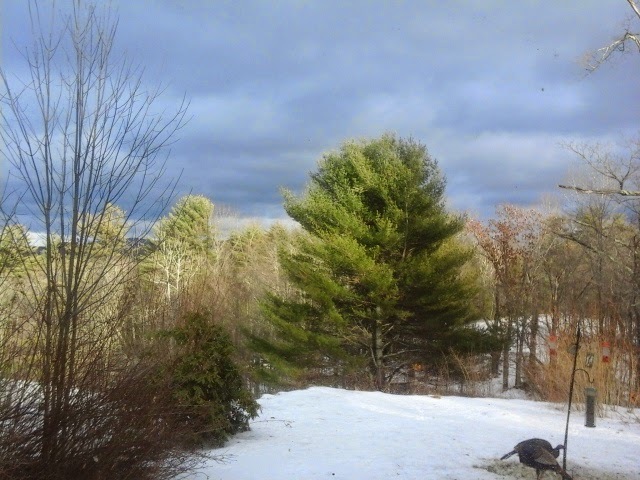 Wildlife: turkeys really hung out at the feeder all day, scratching around till they got down to grass under the snow. Training:core work. Planks, and pushups... yay.